Edna D. Gibson age 81 of Grovetown, Ga., loving wife of the late Jimmie Gibson and daughter of the late Walter and Eva Daniel, entered into eternal rest on Monday, January 28th, 2019. She is survived by her daughters, Donna (Jimmy) Rhodes, Kim (Ronnie) Miller; sister, Evelyn Garvin; and grandchildren, CJ (Sally) Jackson, Justin (Sabrina) Rhodes, Nick Jackson, Brittany (Paul) Drake, Daniel Sikes, Randi Wright, Cody Molleur and Katy Molleur; and six great grandchildren, James and Isabella Rhodes, Savannah and Brantley Wright, Zander Drake, Cara Molleur and Charlie Jackson. In addition to her husband and parents, she is preceded in death by her daughters, Lynn Molleur and Vonda Jackson. She was a devoted sister, wife, mother, grandmother and great grandmother. She was a diehard Atlanta Braves fan. 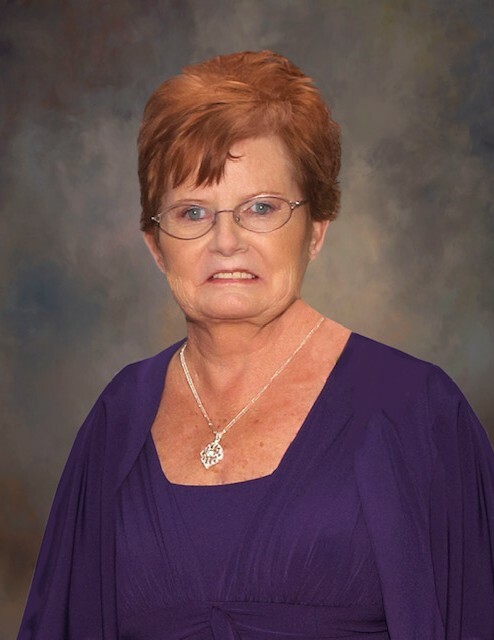 Ms. Gibson was a retired tool room supervisor with the Flour Daniel Construction Company. She will be greatly missed by her family, friends and all the lives she touched in the 81 years that God granted her on this earth. However, death is not the end and she will live forever in the hearts of her friends and loved ones. A funeral service celebrating her life will be held on Friday, February 1st, 2019, at 1pm, in the chapel of Napier Funeral Home, with Rev. Edward Hardee officiating. The interment will immediately follow at Sunset Memorial Gardens. The family will receive friends from 12pm - 1pm on the day of the service at the funeral home. Pallbearers will be: Justin Rhodes, Jimmy Rhodes, Paul Drake, Jerry Hall, Ronnie Hall and Ronnie Mills.